Today one of my users come across with this issue. When he tried to share word file with his Distribution List. In that Distribution List, everyone or every member is from the organization. Your organization's policies don't allow you to share with these users. 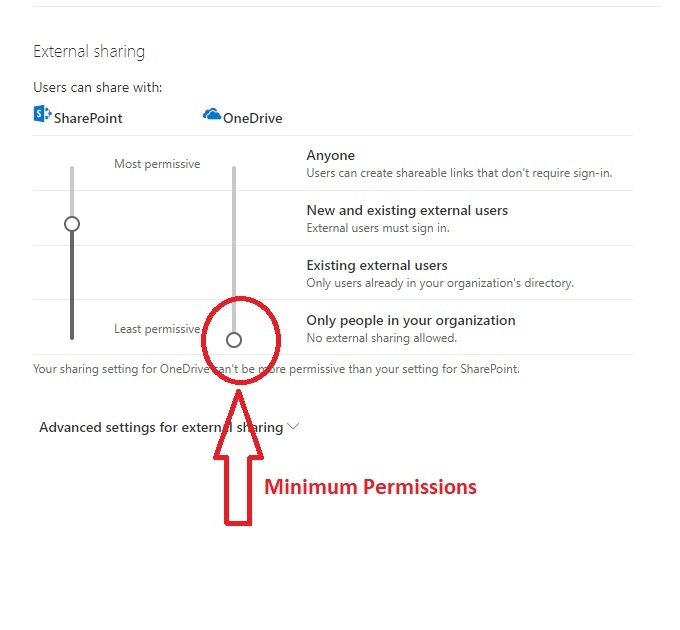 Go to External Sharing in the Office 365 admin center to enable it. So why we are getting this issue - Because we gave least permissions to share from your one drive. 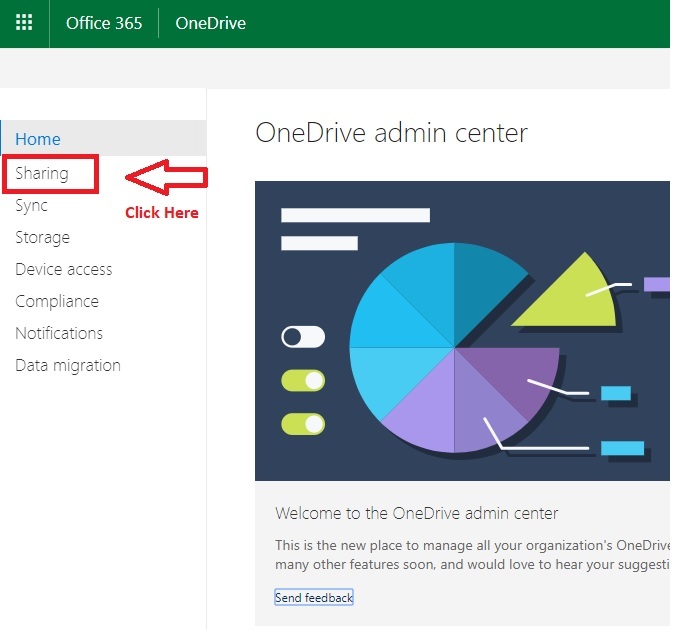 To resolve this issue we need to open the OneDrive Admin Center. 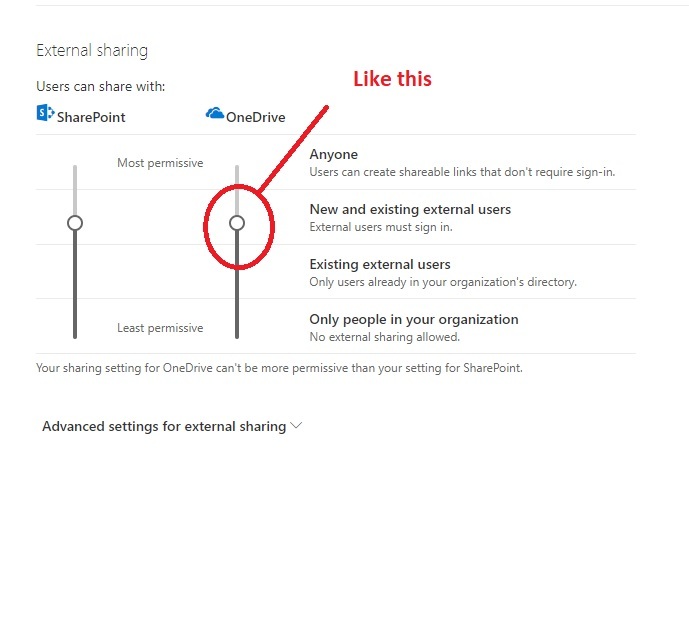 then click on Sharing in OneDrive. According to Microsoft, When you try to share something from OneDrive to any Distribution List which has only internal employee emails only. OneDrive will consider it Outsider. To resolve this upper issue, you need to Give permissions up to New and Existing External users (External users must sign in). After completing the above step please try to share once again. The results will look like this. 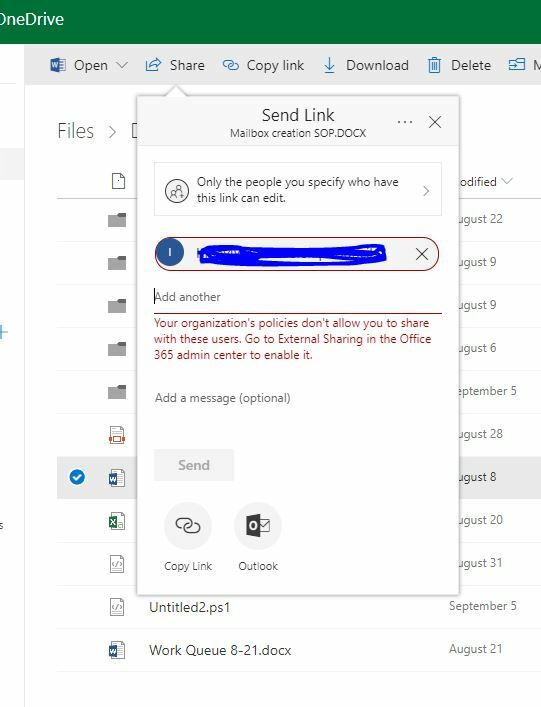 If you want to share your document or file with your distribution list then do it from Outlook. 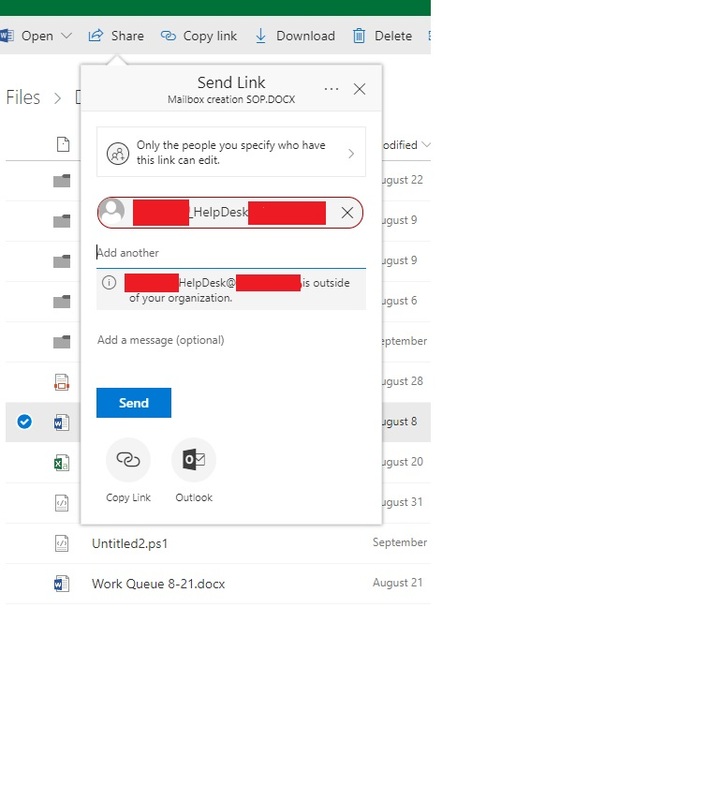 Download the file or folder, attach the file in outlook.